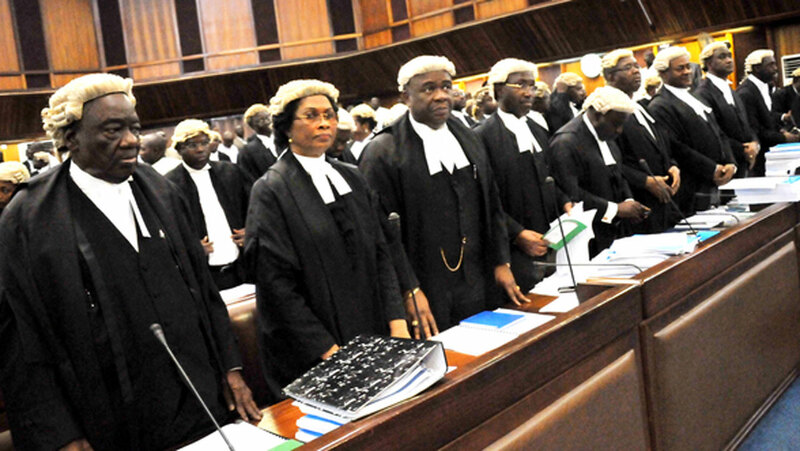 Prominent Nigerian lawyers have condemned the report of recent survey by the National Bureau of Statistics (NBS), which stated that the Nigerian judiciary and the Nigeria Police force (NPF) are the most corrupt institutions in the country. 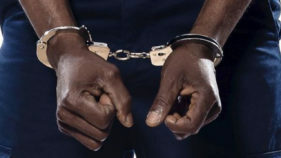 The survey was reportedly conducted by the NBS in collaboration with the United Nations Office on Drugs and Crimes (UNODC).According to reports, the survey revealed, among others, that the police is the most corrupt institution in Nigeria, closely followed by the judiciary. 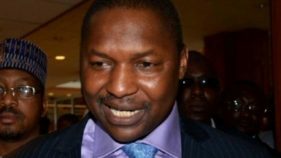 At the just concluded 2017 Annual General Conference of the Nigeria Bar Association (NBA), lawyers came to the defense of the judiciary and outrightly rejected the report on the premise that it was highly exaggerated and not factual. Dr. Yusuf Ali, a Senior Advocate of Nigeria (SAN) said he found the report highly upsetting and called for a reform in the justice sector.He said: “Getting knowledge of the report was one of the most depressing moments of my life in recent times. We all know that all institutions in Nigeria have issues with the national malaise, which is corruption, but I never knew in my wildest imagination that the Nigerian judiciary would be closely ranked with the NPF. Mr. Jimoh Lasisi (SAN) queried the NBS statistics. “What was the premise for arriving at that conclusion, where is the data?” Lasisi asked.His words: “We all know that the police is corrupt, the Nigerian Custom Service (NCS) is corrupt, and how did they arrived at the conclusion that the judiciary is one of the most corrupt institution in the country? Also reacting to the report, Mr. Felix Ogunmade, a lawyer raised questions about the source of the statistics of the NBS.“I have huge doubts about the collection of data leading the NBS to issue this report. It appears to me that the NBS may just have rested its report on the information, which has been making the rounds in the last few years. “However, whether the report is accurate or not, it is rather unfortunate that we find ourselves in this odious situation and that of course shows why we are where we are at the moment. For there to be peace and development in any nation, the people must respect, obey and comply with the law. “If the institutions set up to execute and enforce the laws of the land are seen as corrupt or partial, the result is that laws will be treated with impunity, disregard and disdain,” he said. Mr. Toyin Adenugba, a lawyer with the Nigerian Stock Exchange stated that the Nigerian judiciary had an image problem, which needs to be overhauled. “There is no smoke without fire. However, that does not mean all smoke is fire. I think the report emanated from an image problem, because the judiciary is battling a bad image in view of the DSS actions on judges. “This has a way of demoralizing the populace because the judiciary is the last resort of the common man. The judiciary should always be seen to be above board. There are corrupt judges in every part of the world, but judicial officers are duty bound to be morally upright,” he said. Some other lawyers blamed the NBS report on the negative perception the Nigerian public have about the judiciary. 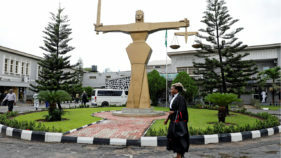 Mr. Ikechukwu Ikeji, also a lawyer, however, said there is corruption in the judiciary, particularly within the Magistrate Court set up, where the court registrars and the prosecutors collect money from accused persons in order to subvert justice. “The reason for the failure in the corruption war is because the police and other investigative agencies do not do their work well. So, when you get to court any smart lawyer can pick hole in the case and water it down. This is different from what the EFCC is doing which is the recovery of our stolen wealth. This report has no doubt further created a bigger dent to the image of the judiciary,” he declared.